Planning a luxe vacay? 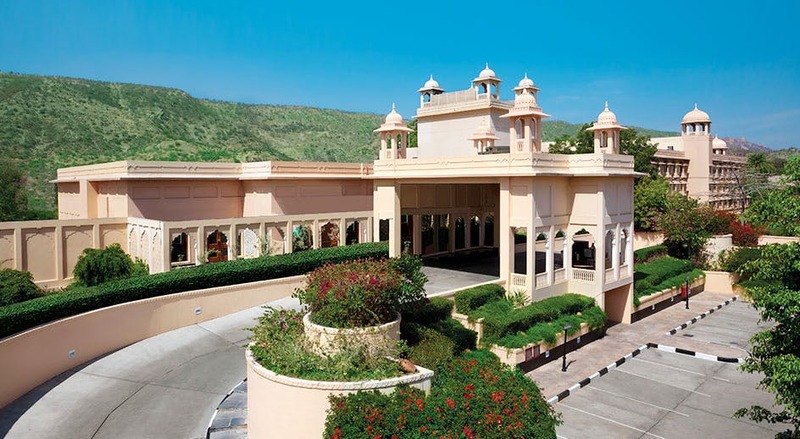 We're giving you a list of amazing hotels where you can spend ample amount of time lazing around and will serve as the perfect base for you fancy Jaipur trip. This royal palace is home to the Maharaja of Jaipur, and is located in the heart of the city. It has beautiful interiors that allow guests to experience the regal life in today's time. Apart from this, they also offer spa services and use only organic, ayurvedic products and local ingredients. This place also has early morning yoga classes for people who want to workout while they are slaying their vacation goals. Hilton Jaipur is where you need to go if you want to enjoy a super convenient and luxe vacation. It offers beauty salon services, local transportation and has a gift shop too. If you happen to be travelling with children, they provide cribs and high chairs. Also, if you need business meeting arrangements done, you can easily get audio/visual equipment on rent, photo copying service, printing and a conference room too. This place has a fantastic pool, where you can chill, eat and relax. If you're looking for something more, they have a restaurant, called Grills by The Pool that overlooks the Aravali Hills. The menu includes traditional delicacies like Murgh Mamra Badaam Shorba, Bhatti ka Murgh, Paneer Sooley and Malai Broccoli. Along with all this, they also have a kids' club where you can let your little ones have a blast for a couple of hours, while you squeeze in some me-time. If you're one to never separate yourself from your gym sesh, you will love The Lalit Jaipur. It has a large gymnasium that you can work out in with the guidance of in-house trainers. They've got a 24x7 concierge service too that'll make moving about the city a lot easier for you. Also check out their Rejuve Spa, which is humongous and provides natural, ayurvedic and herbal therapies, accompanied by salon services too. The Oberoi Rajvilas has a restaurant called Surya Mahal that offers a wellness menu perfect for those who are looking to stay at some place where you will receive a larger variety of healthy food. Their spa services include hot poultice therapy, and complete body massages. Also, if you're looking to host an event, The Oberoi's arrangement will impress you and you can customise everything to a T.